Chandra and Deena's family has a smoky oil lamp at home, which makes their baby brother cough. Then one day at the market, the sisters spot a man selling lamps that are powered by the sun instead of kerosene - and would be healthier for their brother! But how will they afford to buy one of the "magic" lamps? 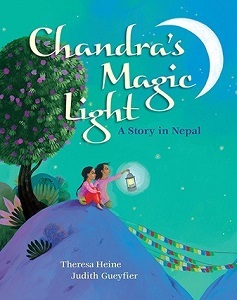 This lyrical celebration of hard work, determination and sisterhood is brought to life with luminous acrylic illustrations of the mountains and markets of Nepal. 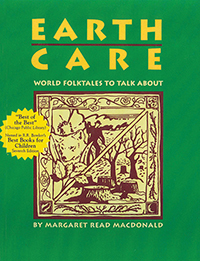 Includes 7 pages of facts about Nepal and instructions for making a solar-powered oven.